As we all know Scouts is all about adventure and experience and this night hike arranged by Patch was no different. With head-lamp and torches at the ready and enough energy rations to last beyond the required two hour duration of the hike the Scout Group all happily emerged. The weather was kind and not a drop of rain (although these Scouts don’t balk at the sight of rain – always prepared for any eventuality). Organised in almost military style there was no way these Scouts were going to get lost extract below from the Activity Form. “This Night Hike will commence at 1830hrs at Patonga Drive… GR 867399 on the Broken Bay Map 9130-1N 3rd Edition. Well done to all the Scouts who partook and our wonderful Scout Leaders! Recently Rotary Woy Woy sent three Broken Bay Scouts (Ellie, Joshua, and Greta pictured below L: to R:) to the Rotary Youth Program of Enrichment winter weekend in Springwood. A big thank you to Angona (Alan Ford) for nominating the three scouts who are all actively involved in the scouting movement and a big thank you to Rotary Woy Woy for providing such a wonderful initiative! The three scouts spoke very highly of the course and more can be read in the link to the article below from Ms Jayne Mote, District Interact Representative (Rotary). 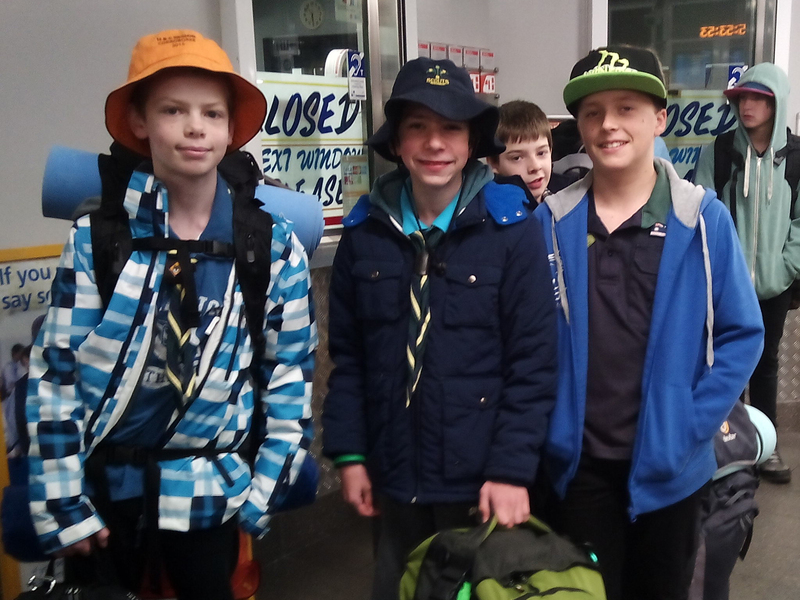 Broken Bay Scouts headed off by train in late May to join other region Scouts at the weekend Newcastle Region Rally to compete for the Billy Knight Shield. This adventure took the Scouts across various points (Newcastle Museum, Newcastle Cathedral, Nobby’s Beach and Wickham Park) using their own ingenuity, hiking, catching buses, followed by a ferry trip to an overnight camp at Stockton Beach. Followed by more activities around Stockton Beach the following day. 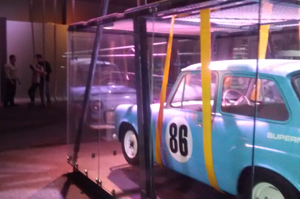 …and engage in loads of fun challenges which even included lifting a car in Newcastle Museum. Picture courtesy of aj2016.com.au website. An information session will be held at the Ettalong Scout Hall, Cnr of Picnic Parade and Maitland Bay Drive, on Thursday 6th November 2014 commencing at 7pm. So come along and learn more about what’s involved and the exciting activities Scouts will be engaged in at the Australian Jamboree. As group leader (and former scout leader of many years) I hope that I have been able to make a contribution to the skills that the young Scouting members of our community have, because we try to teach positive values and leadership. Skills they will carry through to their adult lives. Our young people of today live in a very fast and mixed up world, what with peer pressure and some disturbing influences of the society in which we live. We as leaders try to give the children some good direction in the ways of scouting and the good life and fun times that can be had. My love of the outdoors extends to hiking, mountain bike riding and boating – and I enjoy sharing this passion with the children and their families. 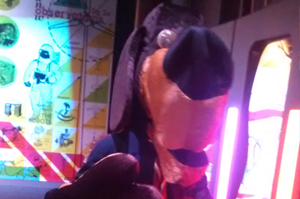 So I welcome you and your Scout and may you enjoy the benefits this great organisation can provide to you all. The activities that the children can become involved with are many and varied and every child has the opportunity if they wish, to expand their knowledge and stretch themselves out of their comfort zones.